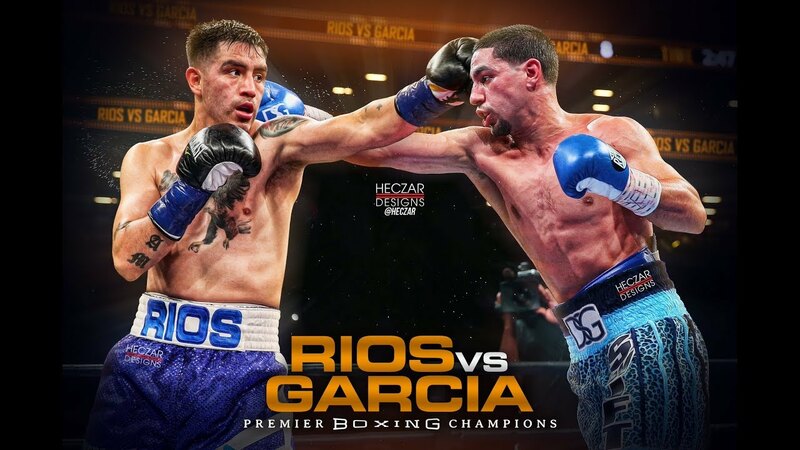 On February 17th, two former champions will collide when Danny Garcia and Brandon ‘Bam Bam’ Rios do battle at the Mandalay Bay in Las Vegas. The winner will be hoping to fight WBA and WBC welterweight title holder, Keith Thurman. Rios has not fought since June, 2017 after stopping Aaron Herrera in 7 rounds. He was previously stopped by Timothy Bradley in 2015 and has mainly been inactive recently to give his body time to heal from the heavy beatings it has taken throughout his career so far. Rios has stated at their initial press conference that he is now physically ready to box his way back on to the big scene once more. But will the big scene still be as gracious to him as before? 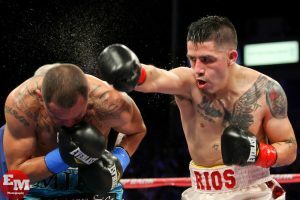 Brandon Rios has been involved in modern slugfests with opponents such as Mike Alvarado. Although he has not been as inactive, Danny Garcia will have almost spent 12 months outside the ring by the time the Rios fight comes around. His loss to Thurman occurred in March of last year, a fight that was frustrating to watch due to both boxers’ styles not quite syncing together. 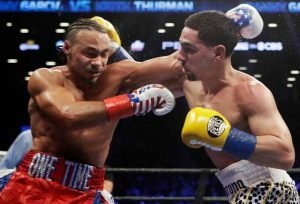 Garcia countered effectively at times but the more explosive work came from Thurman, which probably was why he was awarded the win and gave his opponent his first defeat in 34 fights. Brandon Rios has compiled a 38 fight career record so far and he always carries everything in with him, including a big heart. He has a natural inclination go to war, which has worked against him by boxers who have countered his aggression with a more clinical display of skill. But he normally comes out on top when he manages to lull the other guy into his gameplan. Despite claims that he is now rejuvenated, you still have to question just how much Rios has left. It will be a bit of a mystery as to how he will fare considering that he has not fought with regularity in the past couple of years. Garcia should not have as much of a problem, and it would be most sensible to pick him to come out on top in this one. The Philadelphian fighter may lack hand speed, but his timing is usually sharp and he has been known to counter boxers who have had a reputation for getting off much faster than him. The Amir Khan fight springs to mind as one example where Garcia was able to show that his superior timing can beat speed. But he is not afraid to press forward when he feels comfortable and he will exchange when he feels it is necessary. Garcia is also good at landing quick punches and then immediately getting out of range. Danny Garcia gave Keith Thurman all he could handle last time out. The former WBA lightweight champion’s own hand speed isn’t too dazzling. Brandon is the type of boxer who will just keep walking forward, throwing punches and hoping that a big one lands to hit the jackpot. Which it has done so on many occasions. But the negative aspect of his style is that he is easy to hit and he can be outboxed if one has the patience and the will to go into the later rounds with the thunderstorm that he envelopes his opponent’s with. However, Danny Garcia has enough experience behind him to take this one by a relatively wide points decision. He could even get a stoppage win if he is allowed to land his notable left hook upstairs with accuracy. The early part of the fight should be intriguing but Garcia will possibly eventually settle into a nice rhythm without getting too involved. If he does then it could be anybody’s fight. And that is what makes boxing great!